British Summertime is a glorious thing, but be it at the BBQ, or on a picnic, drinks can be a minefield of overly sweet ciders and warm tasteless beers. It’s too warm for red wine, the white wine is never cold enough — it’s time for the best cocktails to come out and shine. 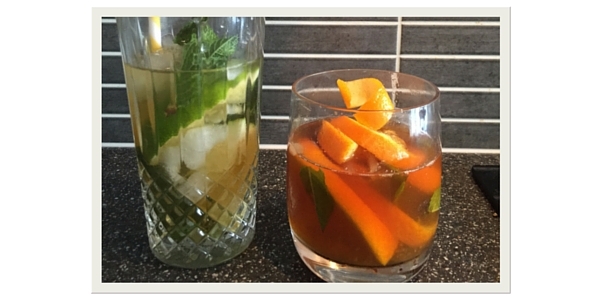 Step up your cocktail game this year and ditch the basic Pimms cup – guaranteed to be full of soggy fruit, and try one of these easy to make tea-based cocktails. Apart from the odd absolutely glorious day, summer 2015 has so far been a bit of a damp squib, so while it seems to change from glorious sunshine to grey and overcast in the blink of an eye, here’s one fresh and zingy cocktail for when the sun decides to show it’s face, and one for later on in the evening when it’s not really that warm, and you need a bit of a pick-me-up to carry you through the night. 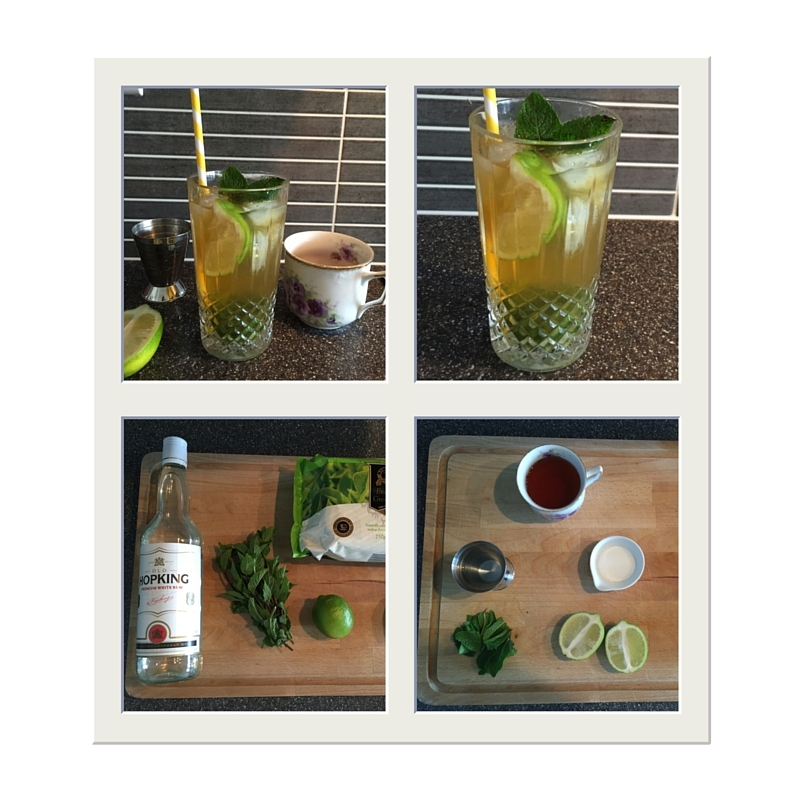 This twist on a mojito is just as refreshing as the original mint and rum classic, with a slightly savoury edge form the green tea. For those of you trying to slim down for your summer getaway, make it without the sugar for a virtually calorie free drink. Brew your tea, making sure it’s strong but not over stewed to avoid any bitterness. Allow to cool fully. 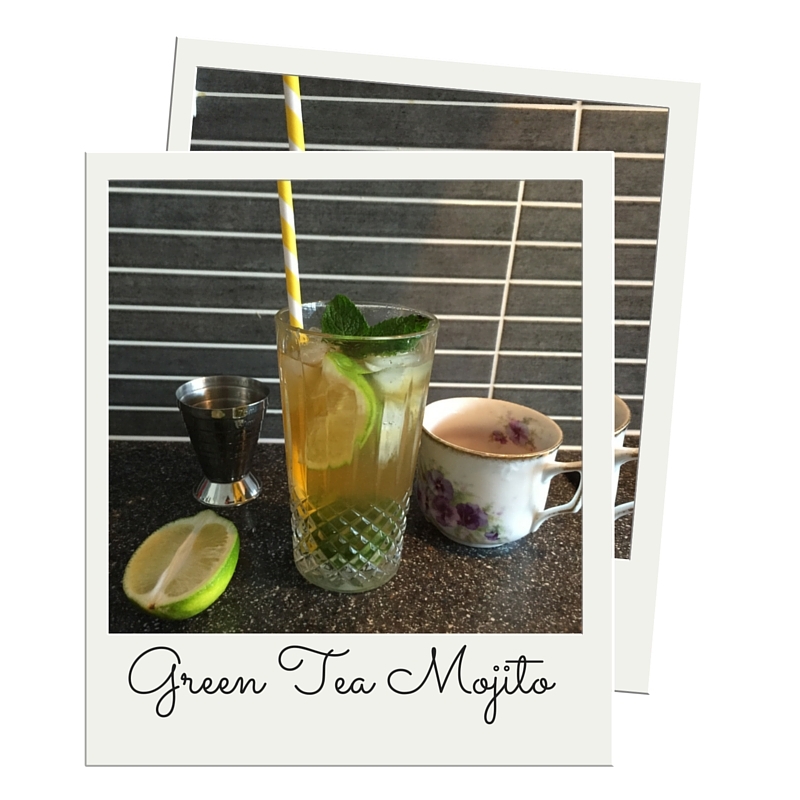 If you have a simple syrup to use in place of the sugar, great, if not, muddle together the mint leaves and the sugar, with the lime juice at the bottom of your glass until all of the sugar has dissolved – you don’t want to taste grainy sugar in your final drink. Once dissolved, add in a handful of ice, add the rum, and top the glass with your tea, and some sparkling water if needed. Garnish with a twirl of cucumber, or a few sprigs of fresh mint, and you’ll have something with a slight zing to cool you down. The sun’s going down, it’s starting to get a little bit too chilly to wear shorts – bust out the bourbon and have something that’ll warm you up. Slightly stronger, but still fresh enough for summer with a twist of orange zest and mint. Make your tea well in advance so it has a chance to cool right down, and brew it fairly strong so the tea flavours really have a chance to come through. Make a pot with a few teabags to easily make this into a punch for the rest of your party. Place the orange slices, the mint and the honey in an old-fashioned glass, and muddle together to release the orange juice and the mint oils. 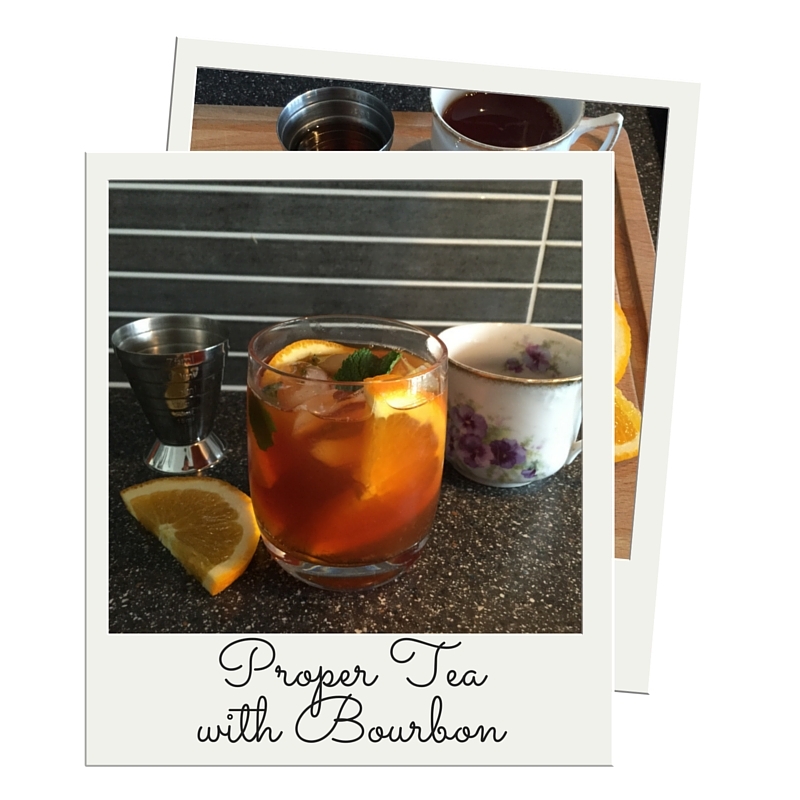 Fill your glass with ice cubes, and pour over the bourbon (slightly chilled if possible). 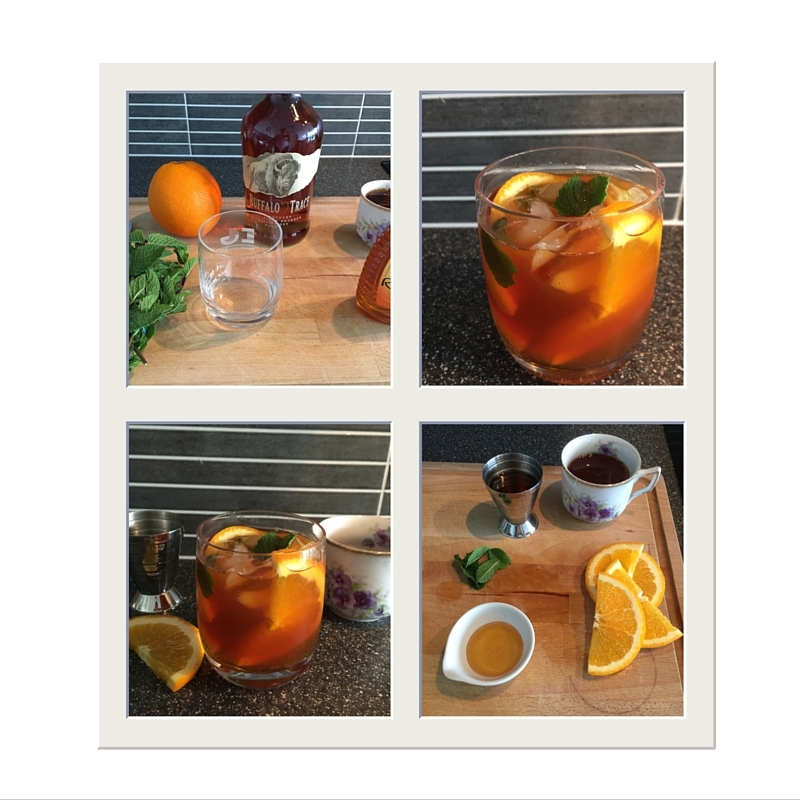 Top up the glass with your tea and garnish with a twist of orange peel. Mix together and taste – if it’s a bit stronger than you expected, add some more honey to soothe out the alcohol, or leave it out entirely. Enjoy!